NDP leadership hopeful Charlie Angus is in Quebec City today, where he is getting back into campaign mode after taking a step back due a family illness. 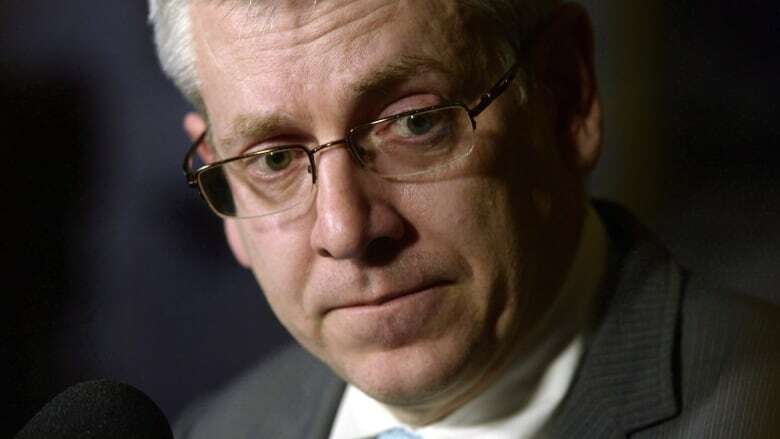 NDP leadership hopeful Charlie Angus is shifting back into campaign mode this week after taking a step back to support a gravely ill sibling — a difficult decision for the Ontario MP juggling heightened personal and political demands. After missing last week's leadership debate in Victoria, B.C., Angus said he has decided to hit the road again while he keeps a close eye on his sister's health. "The response I've had from people has been really, really moving, but I don't know how long this is going to go, so we decided we would take it one day at a time," he said in an interview Tuesday. Analysis: Is Singh's fundraising lead as wide as it looks? It is a critical point in the race to replace Tom Mulcair, Angus added, noting his team is trying to strike an appropriate balance. "It is hard to juggle all the balls in the air because you have a campaign that is firing at all cylinders," Angus said. "It is hard to explain — you want to be there for your sister at all times but you also have to go out and keep pushing the campaign." The next few weeks of the race will be key for all candidates — the others are Ontario MPP Jagmeet Singh, Manitoba MP Niki Ashton and Quebec MP Guy Caron — as they seek to sign up as many members as possible ahead of an Aug. 17 registration cutoff. Kathleen Monk, former director of strategic communications for NDP leader Jack Layton, said the contenders will use this period to demonstrate momentum, including announcing endorsements from MPs and provincial legislators. Up to this point, the race has largely played out between Singh and Angus, she added. "In these next few weeks, what we have to watch for is whether there will be a signal from another leadership candidate on who they support or who they want their membership support to fall behind for the second, third, fourth ballot," she said. Singh demonstrated the strength of his campaign with the release last week of Elections Canada finance figures, which indicated he collected $353,944 in donations since joining the race in mid-May. Angus, meanwhile, lagged behind at $123,574 raised between the beginning of April and the end of June, though he said his team has recently received a flood of financial support. "Our money is really picking up in the last two weeks so coming into this final time, I think we are going to be extremely competitive," he said. For his part, Singh has positioned himself as the "growth candidate," suggesting he is signing up supporters from outside the party as part of his path to victory. Brian Masse, an Ontario NDP MP elected in 2002, announced his support for Singh on Tuesday, saying he believes the provincial politician can bring in new support for the federal party ahead of the next election. "Jagmeet offers the NDP a clear path to winning in ridings across the country and forming government in 2019," he said in a statement released by Singh's campaign. "With Jagmeet as leader, the NDP can inspire Canadians and build a more equitable country." Singh's camp also released a fundraising appeal Tuesday calling on supporters to ramp up efforts during the final stretch to sign up new members. "Only people who are members of the NDP by Aug. 17 can decide who becomes the next NDP leader," it said. "The people we mobilize between now and then could swing the vote and decide the outcome." NDP national director Robert Fox said Tuesday the party hopes to double its membership by the end of the race. "We are pleased with what we are hearing from the different leadership campaigns," he said. "They're telling us they are signing up increasing numbers of members as the deadline approaches." As of the end of the last year, the NDP was down to about 45,000 card-carrying members — well below the 120,000 members the party had at the end of the last leadership race in 2012. Naming a new leader will allow for the party to look forward, Fox said, adding there's no question a number of members were "clearly deflated" with the outcome of the last federal election in 2015. "It allows people to start a new chapter," he said. "It turns all of their attention from what we did in the past to how we win in 2019. PODCAST | The Pollcast: Is Jagmeet Singh the one to beat? The Pollcast: Is Jagmeet Singh the one to beat?